When Merck Animal Health Conference & Event Manager Amy Gregory called her boss just after the start of the 2018 Veterinary Meeting and Expo, and said, “We have a problem,” it made her 3D Exhibits Account Executive George Furman surprised — and at least a little nervous. 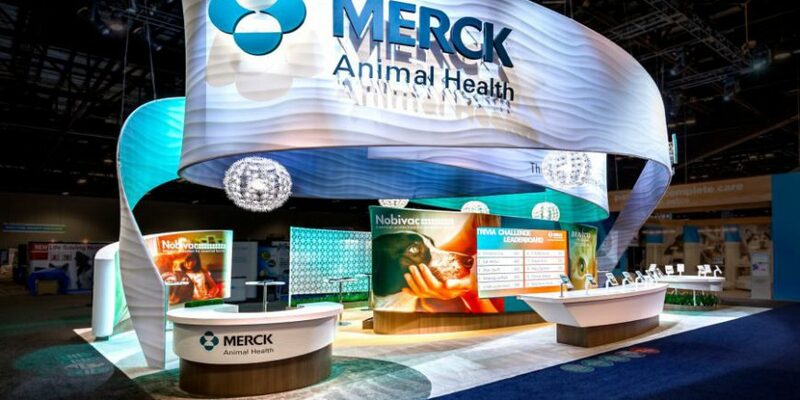 What made the Merck Animal Health booth so busy and the talk of the show was an award-winning design from 3D Exhibits, and a crowd-stopping trivia game from SocialPoint. 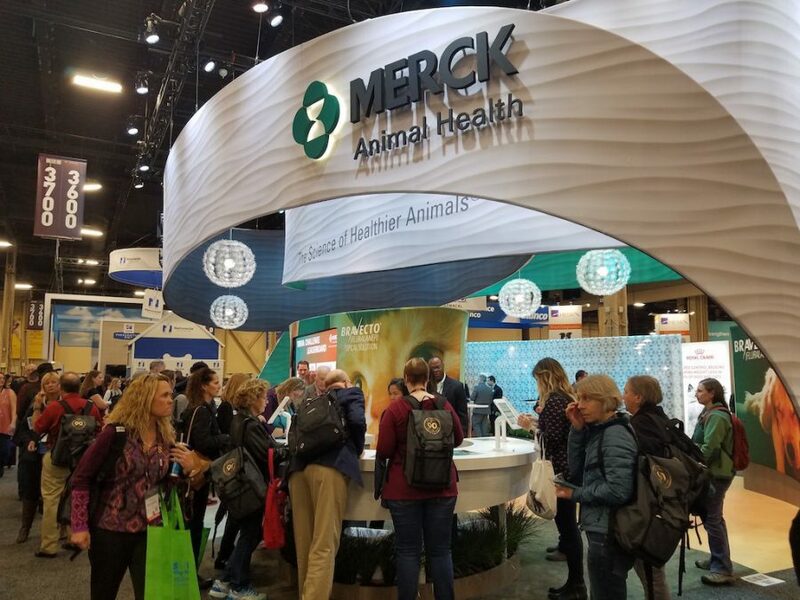 Over the 4-day show, 3,400 people played Merck Animal Health’s trivia game, answering 35,804 questions, a tremendous amount of traffic and engagement. Attendees played a timed version of SocialPoint’s Trivia, competing on iPads. While all attendees received a Merck-branded T-shirt, players with the 10 highest scores were displayed on a leader board –especially appealing to very-competitive veterinarians. After the first show’s results, Merck Animal Health expanded their planned use of the trivia game from 2 shows up to the entire year. They had similarly high player numbers at WVC 2018. As a result of the new exhibit and interactive trivia game, Merck increased their requests for post-show email follow up by 21%. Moreover, 90% of attendee survey respondents learned something new about Merck while visiting the exhibit. 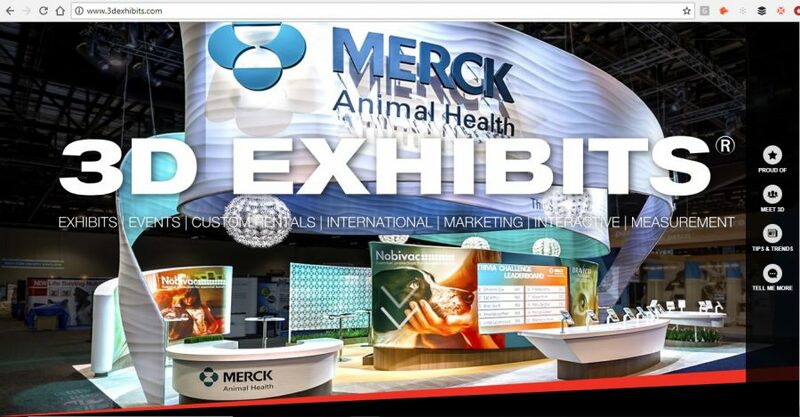 3D Exhibits’ design for Merck Animal Health is something special. 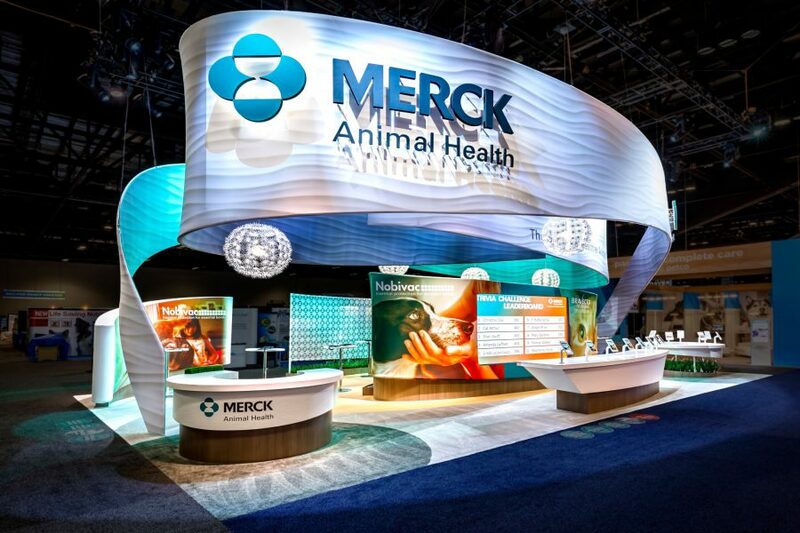 3D Exhibit’s design for Merck Animal Health won a Hermes Creative Award, Platinum Trophy. As a major exhibit house, 3D Exhibits often sources and creates interactive activities for their client’s exhibits. “We usually build custom interactives, but for this show we had minimal time to do this. SocialPoint’s solution was off-the-shelf with the customization we needed.” explained Hersee.